India is one of the leading countries in entrepreneurial spirit and innovation. It is apparent from the fact that almost 80% of Indian businesses are either entrepreneur driven or family-owned-and-managed. Predominantly small and medium in size, these businesses are the backbone of Indian economy with considerable contribution to GDP. They generate huge employment in the private sector and also play an important role in the social upliftment and welfare.History of Indian businesses indicates that majority of prominent business houses like Tata, Birla, Bajaj, Walchand, Modi, Thaper, Dabur et al. were founded in a small way by enterprising individuals and became family businesses as family members joined them. These businesses earned prosperity and fame in due course. However, a daunting challenge they faced was of survival and sustenance of the business across generations. Most of these business families have gone through one or more splits in their family businesses over generations. Longevity of the family business is a challenge even today for the families in the business. 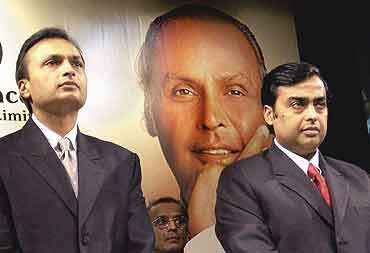 We have witnessed high conflict and split dramas in some famous business families in recent past, thanks to Ambani brothers, Bajaj cousins, and Mafatlal Bahus! Internationally also the scenario is not very different. Fashion brands like Gucci, L’Oreal and other brands like Fiat, Viacom have gone through bitter disputes and break ups in their family businesses. Worldwide research shows that only 3 or 4 family businesses out of 100 survive till the third generation.Rest of the businesses either close down, or get divided, or change hands in the first or secondgeneration. Mortality rate of family businesses is quite high in spite their sterling contribution to the economy and the society. This paradox leads to a pertinent question – how can family businesses sustain their existence and grow in a globally competitive environment? We have to understand the uniqueness of a family business to answer the above question. Family and Business, two interactive dimensions create a family business, usually owned and managed by two or more family members. It means owners’ values, attitude, and biases influence organization’s strategies,planning, and performance. The family’s beliefs impact business objectives. For example, a religiously inclined vegetarian family may not venture into a non-vegetarian food business however good the business opportunity seems. In other forms of businesses like public sector enterprises, multinationals, and public limited corporations, ownership is treated as a separate issue from managing the business. Professional executives are responsible to operate the enterprise and take decisions in line with the business objectives and profit goals. Performance and meritocracy for employment are of prime importance. Whereas, in case of family businesses respect, trust, and sacrifice among family members take priority over achieving business targets. Bonding and sharing among family members allow them to take business risks, encash growth opportunities, and keep entrepreneurial spirit alive. “A united family is the best social insurance one can have. 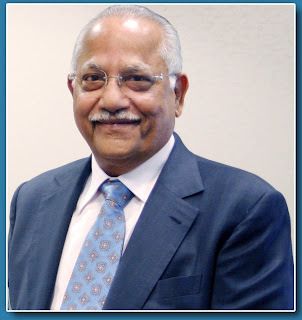 Family members can understand and support each other in the moments of crisis which may be expected from outsiders”, opines Jayantibhai, 85 years old patriarchand chairman of S K Pharma Group. Yet in family businesses, major impediments for growth are lack of common vision and candid communication among family members. Often business goals and objectives clash with family’s beliefs and traditions. For example, poor business performance of a family member could be overlooked because of his seniority in the family or an incompetent family member could be employed in the business because of his relationship. Family members managing the business as owner-managers may have different ambitions, personalities, and competence levels. When their vision and long term objectives differ, conflict is bound to take place. Also, when there are two or more successors in the business, lack of succession planning by the elder generation can create a lot of problems. What is abetter example than the Ambani family? Lack of communication and transparency in financial dealingare sure to create strain in the relationships of the family and negatively impact the business performance. 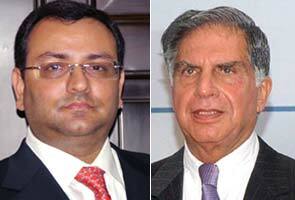 Indian family businesses are going through a paradigm shift. Economic reforms of 1990s have been a turning point for Indian businesses and more so for the family businesses. Onslaught of global competition, stress on productivity and adaptation to new technologies are creating tremendouspressure on the eco system of family businesses. Business families are experiencing a surge in feuds and break-ups leading to a decline in profitability and prosperity. My research on Conflict in family businesses shows that in India more businesses are split in the first generation itself than the later generations. Small and medium sized businesses get divided among two or three successors and become smaller, each with limited resources to sustain in the changing environment.Family businesses are facing three challenges which are significantly influencing and changing the pitch for survival and prosperity. The change at socio-cultural front is eminent throughout the country. With urbanization, rise of nuclear families, influence of media, modern lifestyle and thinning boundaries of caste and religion, the joint family structure is almost extinct thereby affecting the business structure. Individualism, equal opportunity for both genders, participation of women in family businesses are also influencing India’s socio-cultural constitution. Dr. Mohanbhai Patel, a renowned industrialist and philanthropist, quips with a slight grin, “today’s younger generation is more independent emotionally and less enterprising than the older generation. Before individual choices and aspirations clash, it is prudent for the head of the family to decide the boundaries for each member working in the family business. In agriculture parlance we say that strong fences make good neighbors, and it is equally true for family management also”. Succession is not an easy decision, as it is more emotional than rational. A survey done by ASSOCHAM indicates that despite a significant majority of companies recognized the importance of good succession planning, Indian companies rated themselves at 4 out of 10 for long-term planning and for grooming successors as heads of firms (Business World, Dec.2007). In the race of survival and growth, most of the family businesses tend to address the urgent issues rather than important ones. Decision-making is centralized and at times decisions are taken in favor of the family or the individual members rather than the business. Such situations warrant alert especially when there are non-family shareholders in the business. In western countries, the trend is to separate ownership from management control so that the family’s aspirations and demands do not clash with the business objectives and decisions. A system of Family Governance is developed for the family owning the majority stake which constitutes a well drafted document of the rights, responsibilities, and norms for family’s involvement in the business. The purpose is to manage the business in a professional manner along with the ownership. In India, professionalism in family-owned-and-managed businesses is low, although awareness is spreading. Large, renowned business houses in India have taken measures to separate ownership from management. Non-family professionals are hired for top positions and decision powers rest with them.Family members are allowed to work in the business only if they are educated and trained to be at par in performance with the outside professionals. Transparency and accountability of business operations have started taking precedence over closed door policies and decision making. However, small and medium sized businesses are slow to develop the mechanism of Family Governance, exposing themselves to the threats of competition, family conflict, diminishing profits, and loss of opportunities to grow. In the race of survival, the families with a vision and a desire to continue their businesses across generations have to take measures to manage their businesses professionally while keeping their family ties stronger. When the family members have a common vision, well defined roles, open communication, and transparent systems of operations then the business can survive any test of time. Easier said than done, it is difficult for the families to align goals and have an open dialogue among themselves. As a family business advisor, I work with the families to develop family governance and guide them through the process of professionalization with an unbiased, rational approach. By inculcating family governance, the roles and goals of the owner-managers are defined, their performances are evaluated, family’s welfare and wealth management issues are addressed, and the younger generation members are trained for leadership.Indian family businesses are going through a challenging yet exiting time. The ‘change’ factors are making family businesses reevaluate their vision and refix the priorities. Family and business, two sides of a coin, are being redefined in the new millennium. The threats and challenges of family businesses are still outweighed by the entrepreneurial zest, family values and culture. There is no doubt that the family businesses are taking up the challenges and will thrive for a long time as ever. Mumbai. She is also a visiting faculty at We School’s FMB program.